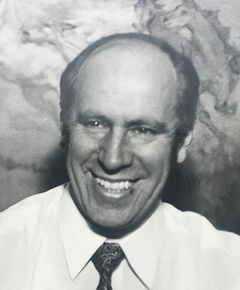 Professor Dr med vet Bedrich Klimeš was Professor of Internal Veterinary Medicine and founder of the Chair for Avian Diseases in the Veterinary College of Brno in the former Czechoslovakia (CSSR). He was a prominent member of the WVPA and also founded the Czechoslovakian branch of the WPSA and was its chairman for many years. He was a WVPA Bureau member from 1967 to 1973, but his major contribution and enduring legacy was in founding the journal Avian Pathology. At the 1969 WVPA Congress he gained approval for his proposal that a working group be set up to examine the possibility of establishing a WVPA-sponsored journal. The report from this group was approved by the WVPA Bureau in 1971 and Professor Klimeš was appointed its first Editor-in-Chief. It went to press in late 1972 as ‘the official journal of the WVPA’. If it had not been for the drive and belief in the project by Professor Klimeš it would have been unlikely to have come to fruition. However, by 1973, ill health had afflicted him, forcing him to resign and hand over the editorship to Professor Peter Biggs. 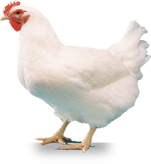 Professor Klimeš had many other achievements in poultry science before his untimely death in 1983. He was responsible for guiding and developing the Brno veterinary college from 1963 to 1969 as its Dean and, early in his career, having become intrigued by problems of disease control in intensively farmed poultry, he helped to found a new genetic concept of poultry breeding in the CSSR, especially with regard to selection of coccidiosis-resistant poultry. He published his first textbook on avian diseases in 1961 with a second edition in 1970. In addition, he published a large number of scientific papers, was a member of many scientific and editorial boards as well as veterinary committees in the Ministry of Education and research institutes. Professor Klimeš was a most likeable, kind and helpful person and one of great intelligence.